Disney PhotoPass gives guests the ability to view and purchase photos taken by Disney Photographers online and at the theme parks. When visitors have their photos taken, they’re issued a “PhotoPass” card which has the web address and a 16-digit ID number imprinted on it. If guests are wearing an active MagicBand when they ride on select attractions, the photos will automatically be added to their My Disney Experience account. For guests without a MagicBand, there are touch points at Buzz Lightyear's Space Ranger Spin, Space Mountain, and Splash Mountain. After riding, find your photo on the preview wall and touch your park ticket or Memory Maker card to the touch point and your photo will be added to your account. PhotoPass is also available on My Disney Experience. You can preview your photos, purchase Memory Maker, share, and download your photos. You will also be able to find the locations of PhotoPass photographers in the theme parks. How Much Is the Disney PhotoPass Memory Maker? Disney Springs PhotoPass Studio - a unique studio located in the Marketplace that will capture great photos featuring virtual backdrops and green-screens placing you right in the middle of your favorite Disney films and attractions. 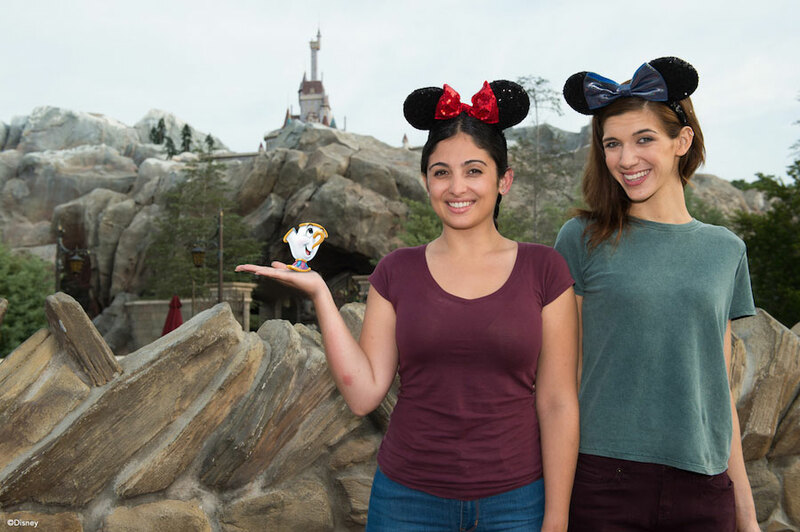 NOTE: When you're having your photo taken by one of Disney's PhotoPass Photographers, be sure to ask if they have any Magic Shots available as they make fun-themed additions to your photos! A Magic Shot is a way that Disney can add a little bit of extra magic to your vacation photos. They vary depending on which photographer you go to and they are often added to your images without you asking for them. Not all photographers have them available, but if the thought of specific and themed poses like the ones we've shared here are something you might like, don't hesitate to ask each time! To see additional Magic Shots that are available around the Walt Disney World Resort, click here. When you dine at the following restaurants, any photos taken will be added to your My Disney Experience account, where they can be purchased later. In addition to the roaming PhotoPass photographers you'll find at the parks, there is also a Disney PhotoPass Studio located in the Marketplace of Disney Springs. 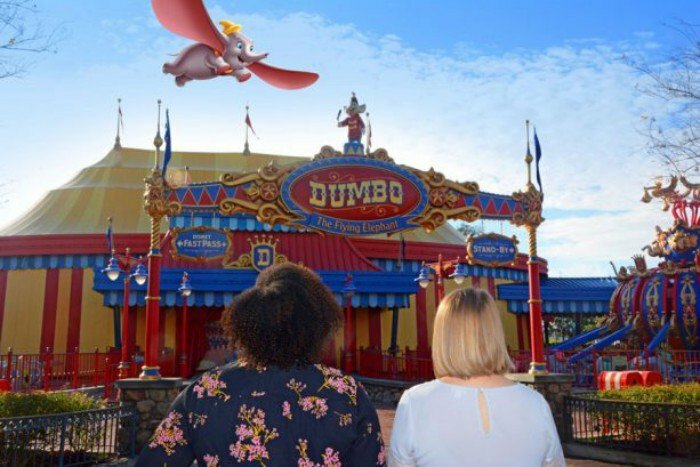 Guests will be able to choose from a standard background or from some new virtual backgrounds that will give the appearance of being up close and personal in some favorite Disney spots. Disney PhotoPass Photographers will be available to assist in choosing the perfect virtual background for your photos. Reservations are not required or needed to stop by and utilize the Disney PhotoPass Studio. Photos taken at this location can be linked to your My Disney Experience account and are included as part of an active Memory Maker entitlement. Memory Maker links all photos taken by a PhotoPass photographer, select dining and attraction photos and any of your family's own photos to your My Disney Experience account. When getting your photo taken, have the photographer scan your MagicBand, Memory Maker card, or Disney PhotoPass card to add the photos to your account. Photos will be available for download (unlimited number of downloads) the day they were taken and can be accessed for 45 days from that date. Before downloading, guests will have the option of editing the photos or adding specialty borders and stickers. You will have 30 days from the first download to take more pictures with your Memory Maker account. Memory Maker can be purchased in advance for $169 and on-site for $199. If it is purchased in advance, any photos taken within 3 days of purchase will not be included. Memory Maker One Day is also available for $59 if you just want to get the photos from one day in the theme park. This is only available for purchase in the My Disney Experience app and can only be purchased during or after your vacation if you have PhotoPass photos in your account. Memory Maker does not include a photo CD; this is available at an additional price. Memory Maker can also be purchased after your trip. Guests with MagicBands will automatically have photos added to their My Disney Experience, so they may return home and find that they have enough photos and videos in their accounts to make the purchase worthwhile. 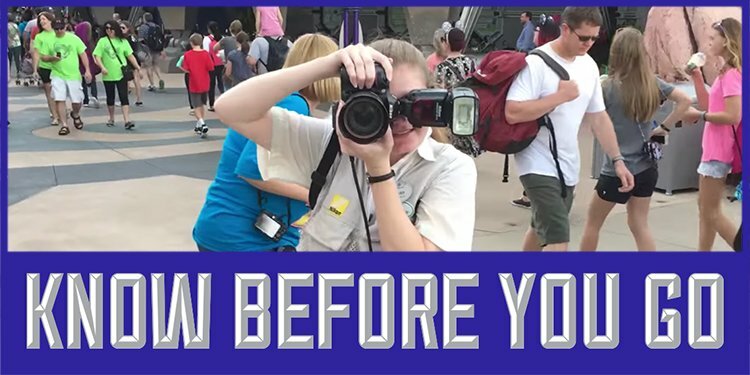 Before downloading any photos, Memory Maker must be linked to your My Disney Experience. The Memory Maker entitlement can only be linked on one person's profile, but it can be reassigned to someone else. Your Memory Maker can be accessed by anyone on your My Disney Experience Family & Friends list, but only one person can dowload the photos. They can be easily shared with others once downloaded. On-ride Attraction photos are automatically added at the end of a ride. RFID technology reads your MagicBand and adds the photo to your Memory Maker account. The attraction photos can only be seen by the person who added the Memory Maker entitlement, not by the Friends and Family list, even though the photos are available. Guests who have a MagicBand and a Memory Maker photo package linked to their My Disney Experience account - After riding The Twilight Zone Tower of Terror or Seven Dwarfs Mine Train, a video of the guest's ride will be added to their My Disney Experience account. This video is only available to guests who have purchased Memory Maker. *price of photo package is included with meal.